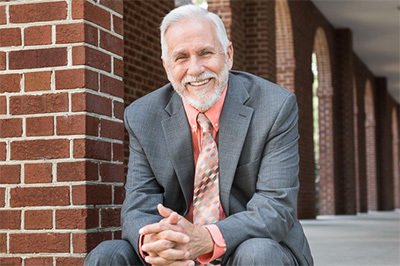 In the fall of 1970, Larry W. Usilton met the chair of UNCW’s History Department, who was looking for someone to teach both ancient and medieval history. Usilton sent in his application, and the rest is Seahawk history. 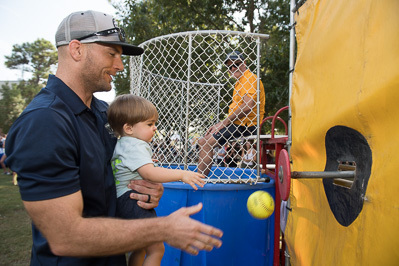 PED 101 lecturer Adam Jetton helps his one-year-old son Leo attempt to dunk College of Health and Human Services Dean Charles Hardy during the college's annual convocation celebration on Sept. 15.